WATER TOTS | Age 6 months - 3 years old w/ guardian. This is the perfect first swim class for babies, toddlers and their parents! Your tot will learn water adjustment and basic skills like kicking, scooping, and bubble-blowing through songs, games, and lots of toys! Come splash around with us! Your little swimmer will learn and build on the basic skills of floating, kicking, scooping, bubble-blowing, and start going underwater. We still love playing with the toys too! This class is for underwater swimmers! We will kick and scoop without floatation, get rings underwater, and venture into the deep end. Get ready for lots of fun! American Red Cross levels 1-6 focus on the six strokes: Front Crawl, Back Crawl, Elementary Backstroke, Breaststroke, Sidestroke, and Butterfly along with treading water and diving. Safety topics are included to ensure all participants know how to be safe in, on, and around the water. ALL LEVELS ARE OFFERED AT ALL TIMES. PICK THE DAY AND TIME THAT WORKS FOR YOU! WE MUST HAVE A LEVEL ON FILE AT THE HAYDEN CENTRE IN ORDER FOR YOU TO REGISTER YOUR CHILD FOR A LEVEL SWIM CLASS. IF WE DO NOT HAVE A LEVEL ON FILE FOR YOUR CHILD, THEY WILL BE CANCELLED FROM THE CLASS. 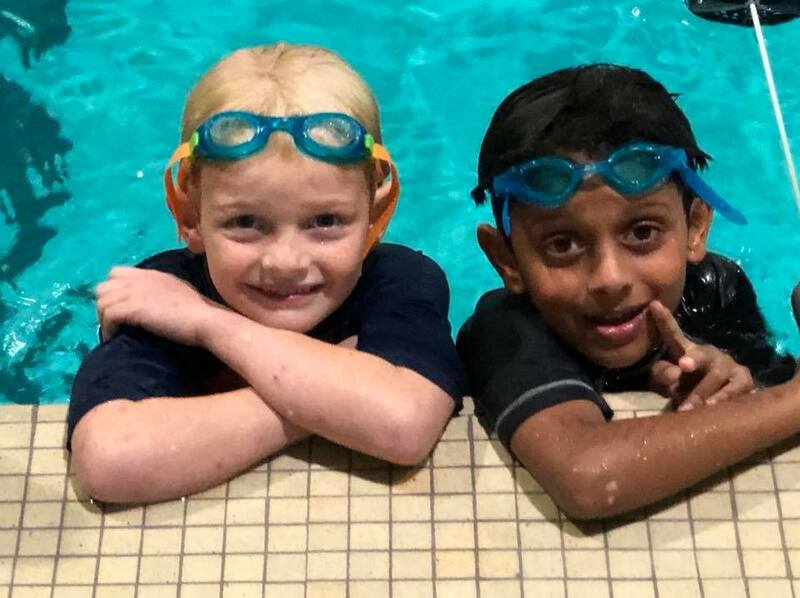 American Red Cross levels 1-5 focus on the six strokes: Front Crawl, Back Crawl, Elementary Backstroke, Breaststroke, Sidestroke, and Butterfly along with treading water and diving. Safety topics are included to ensure all participants know how to be safe in, on, and around the water. LEVELS 1-5 ARE OFFERED AT ALL TIMES. PICK THE DAY AND TIME THAT WORKS FOR YOU! Private lessons are 1 to 1, which is great for helping stay focused, conquering tough skills, and getting over fears. All American Red Cross strokes are highlighted in these lessons too. 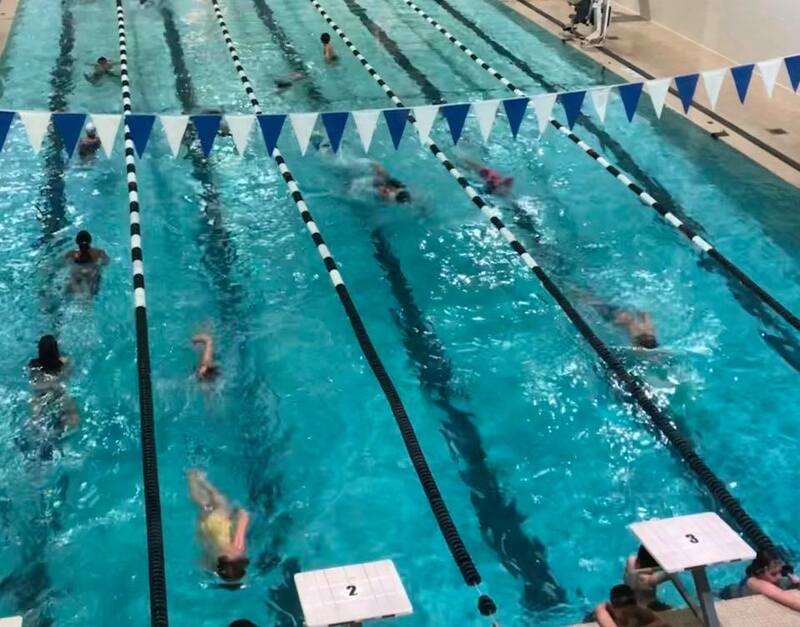 This is a competitive swim team in which swimmers practice twice a week and compete on several Saturdays throughout the fall and winter months in the Middlesex area. The season runs November 1 through February 28th. 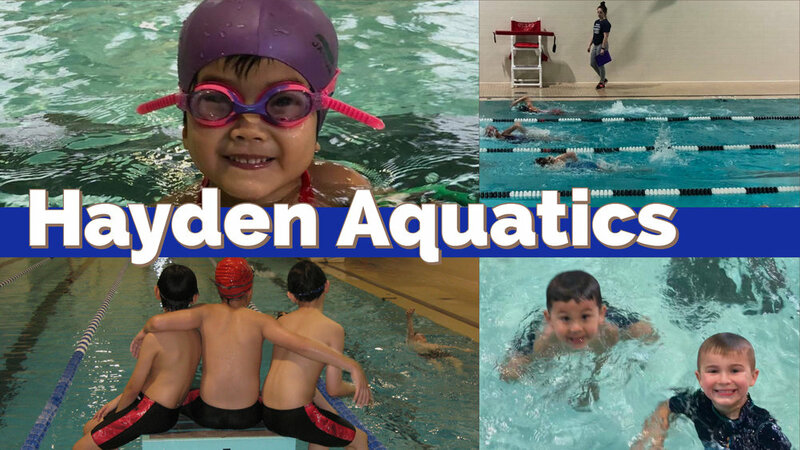 The Hayden Dolphin Swim Team’s goal is to provide an enjoyable swim experience for Hayden members in grades kindergarten through high school. We strive to maintain a positive yet challenging training and teaching environment for swimmers to develop self-esteem, pride and discipline in both team and individual achievements. The coaching staff encourages and believes that positive competition provides each individual great experiences and valuable lessons that continue beyond the pool! The coaches will design each workout for swimmers to build endurance and focus on proper techniques in all of the competitive strokes. Registration for the swim team will be on a first come first serve basis. We will NOT have try-outs for this program. Registration for the 2019-2020 Season will begin in September 2019! Ages 9 & 10 6:15-7:00 p.m.
Ages 11 & up 7:00-7:45 p.m.
Our next program of Practice Squad will begin in November 2019. Registration will begin in September. Are you excited about competitive swimming, but you’re not quite ready yet? This is the program for you! The Hayden Dolphins Swim coach will teach you techniques and build your confidence to pursue competitve swimming. Good Freestyle and Backstroke form will be taught along with Breaststroke and Butterfly kicks. 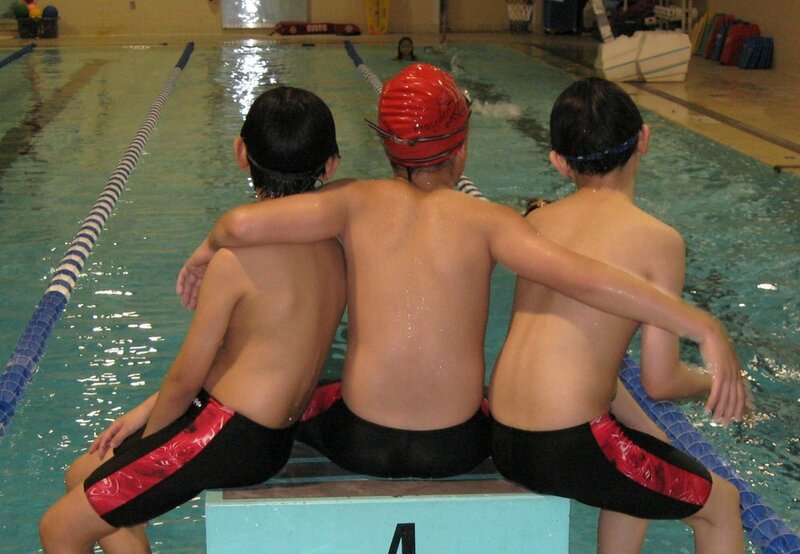 This program will focus on competitive swim strokes. Flip turns, use of the starting blocks, and drills, tips, techniques for Freestyle, Backstroke, Breastroke, and Butterfly will be offered. This program will be coached by the Hayden Dolphins Swim Team Coach. Come fine tune your skills for your swim team season. This class is for Hayden members who have passed level 5 or 6 of Red Cross Swimming. The program will cover some competitive strokes, endurance, and the use of swim gear (fins, paddles and pull-buoys). In class, you will learn about the duties and responsibilities of a lifeguard and a number of lifeguarding techniques. These will include surveillance, the use of rescue equipment, caring for a head, neck, or back injury and rescuing varying types of victims. Candidate must be 15 years or older. Requirements: Must be able to swim 300 yards continuously, retrieve a 10-lb. object in 7 feet of water and tread water for 2 min using legs only. CPR and First Aid taught within the course. All classes are mandatory—no exceptions. (Includes all materials and Red Cross text books.) We offer two separate courses one in late February and a second course in mid-May. Topics in class will include teaching water safety, class management and organization, teaching strategies, hydrodynamics, holding positions, and working with different types of students. You must be at least 16 years old and have the skill proficiency of Red Cross level 5 to take this course. There is a pre-course test that participants must pass in order to remain in the class. The pre-course test includes water safety and swimming skills. The test will be scheduled with the instructor prior to the class start date. Participants must also complete student teaching hours that can be worked out with the instructor prior to completing the course. This program is offered in mid-March. Check back for the next course offering.